So our North Coast Tour is over and for those who are considering doing the tour here is our overview of the route we took, the places we stayed and some reviews of sites. One of the questions people often ask is how ‘long does it take?’. The only answer to that is ‘as long or as short as you like’. We saw motorcyclists who were clearly doing it in a few short days, judging by the speed at which they bypassed some of this country’s most beautiful places and cyclists who were pushing themselves hard to make it round inside of a week. There were American tourists who, being unfamiliar with the challenges of driving in the north of Scotland, set themselves too small a time frame and then people like us who have the luxury of taking their time about it. We left the Lothians on May 15th and returned on June 21st, making the tour 5 weeks and 2 days. We could easily have finished it comfortably in two weeks but it was our intention to live life slowly, enjoying as much of the experience as we could. By the end we were pretty chilled. The eagle eyed amongst you will see that we didn’t complete the circle along the Great Glen. There is a small gap between Fort Augustus and Fort William. We will complete that little bit of the circle at a later date. We also didn’t attempt to drive to Applecross because we were advised that the roads have too many tight bends for a 7.5m motorhome. We know that others have done it but we chickened out. We did add in two islands that are not officially part of the route. I guess you could say that it was a personalised version of the NC! Please follow the links to our reviews of the various campsites and wild camping stops. Tiree: Four nights with our friend Rhoda on her croft. N.B. The official NC route does not include the islands but we’ve wanted to visit Tiree for a long time so we decided to add this to the itinerary. Loch of the Lowes Overnight stop N.B. It is essential to phone the Visitors Centre in advance of overnighting here. 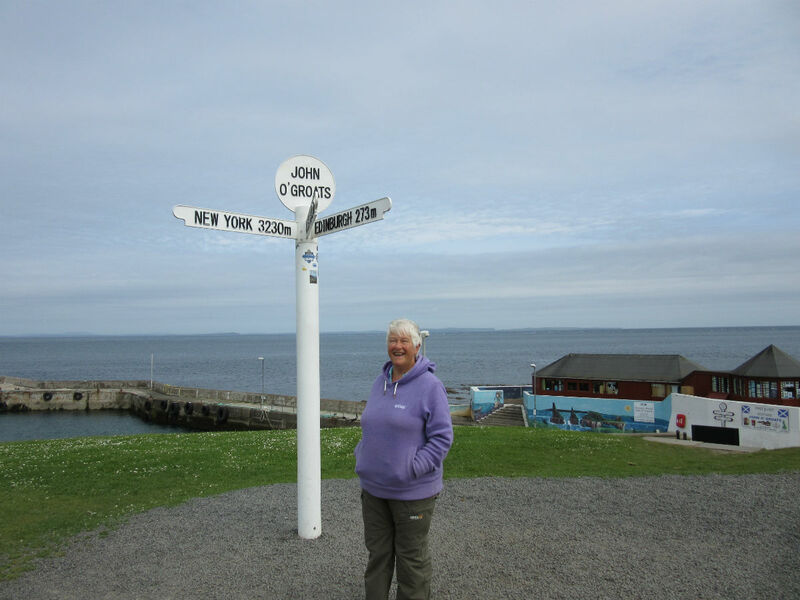 I have loved reading your blog about NC500. Dont know if I will do it with the girls next year but I am tempted after reading your adventures. Planning to visit Scotland next spring and the NW500 is really appealing. You mention midges in May – would it be better going a few weeks earlier although guess weather is likely to be more unsettled! Yes, we did get ‘nibbled’ whilst in France on occasion, but not so much that made it a problem – perhaps we were using the correct repellent?